Dr. Richard Carwardine, who is an internationally recognized expert on Abraham Lincoln and president of Corpus Christi College of the University of Oxford in the United Kingdom, will make three presentations at Hope College on Wednesday, Sept. 25, as the first speaker of the college’s new Presidential Colloquium lecture series. The public is invited to all of the events. Admission is free. He will present his Presidential Colloquium address, “Abraham Lincoln and the Lessons of Leadership,” at 4 p.m. in Winants Auditorium of Graves Hall. A faculty panel discussion and book signing will follow. Carwardine’s other two talks will take place earlier in the day. He will deliver an informal talk on the translation of the King James Bible at 10 a.m. in the Rare Book Reading Room of the Van Wylen Library. Corpus Christi College was one of the locations where the translation of the King James Bible took place. The library’s 1611 King James Bible will be on display during the talk. He will make the informal presentation “Abraham Lincoln: Emancipation and Its Legacies in the United States and Abroad” at 2 p.m. in the DeWitt Center Herrick Room. He will examine the story of the Emancipation Proclamation and the international impact of Lincoln’s actions. The Presidential Colloquium is a semi-annual lecture series that brings prominent, internationally known thinkers to Hope. Through lectures, panelist responses drawn from the Hope community and other engagements with the campus, the speakers will share their insights on the academy, leadership and global civic engagement. The desire is that they will challenge Hope to deeper conversation on these topics, which furthers the collge’s mission “to educate students for lives of leadership and service in a global society.” The series has been established in conjunction with the inaugural year of President John C. Knapp, who became the college’s 12th president on July 1. Carwardine’s research focuses on Lincoln and 19th-century American politics and religion. He has given papers and lectured widely on both sides of the Atlantic to academic and general audiences, and he gave the Birkbeck Lectures in religious history at Trinity College, Cambridge in 2004. His analytical biography of Abraham Lincoln won the Lincoln Prize in 2004 and was subsequently published in the United States as “Lincoln: A Life of Purpose and Power” (Knopf, 2006). In July 2009, as an adviser to the Abraham Lincoln Bicentennial Commission, he convened—with his Corpus colleague Dr. Jay Sexton—an international conference in Oxford to examine Abraham Lincoln’s global legacy, the proceedings of which appeared as “The Global Lincoln” (New York: Oxford University Press, 2011). Carwardine’s publications also include “Transatlantic Revivalism: Popular Evangelicalism in Britain and America 1790-1865” (Greenwood Press, 1978) and “Evangelicals and Politics in Antebellum America” (Yale University Press, 1993). He is currently working on a study of religion in American national construction between the Revolution and the Civil War. 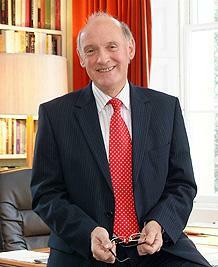 Carwardine has been president of Corpus Christi College Oxford since 2010. His election marked his return to his undergraduate college, where he read modern history from 1965 to 1968. As the Ochs-Oakes Senior Scholar in American History at Queen’s College (1968-71), he worked on a doctoral study of American and British 19th-century religious revivalism. He spent one of his graduate years at the University of California, Berkeley, during an era of campus convulsions (1969-70). Appointed to a Lectureship in American History at the University of Sheffield in 1971, he became Professor of American History in 1994, and served a term as Dean of the Faculty of Arts (1999-2001). He has held research awards from the British Academy and the Leverhulme Trust, and has taken visiting positions at Syracuse University (1974-75) and--as a Fulbright/American Council of Learned Societies Research Fellow--at the University of North Carolina at Chapel Hill (1989). In 2002 he was elected Rhodes Professor of American History at Oxford and a Fellow of St Catherine's College. He was elected a Fellow of the British Academy in 2006. The DeWitt Center is located at 141 E. 12th St., facing Columbia Avenue at 12th Street. Graves Hall is located at 263 College Ave., between 10th and 12th streets. The Van Wylen Library is located at 53 Graves Place (11th Street), between 10th and 12th streets on College Avenue. The 2013 Pull was won by the Class of 2016 (the sophomores). The Jack Ridl Visiting Writers Series of Hope College will feature Todd Davis and David L. James on Thursday, Sept. 26, at 7 p.m. in the Fried-Hemenway Auditorium in the Martha Miller Center for the Eighth Annual Tom Andrews Memorial Reading.